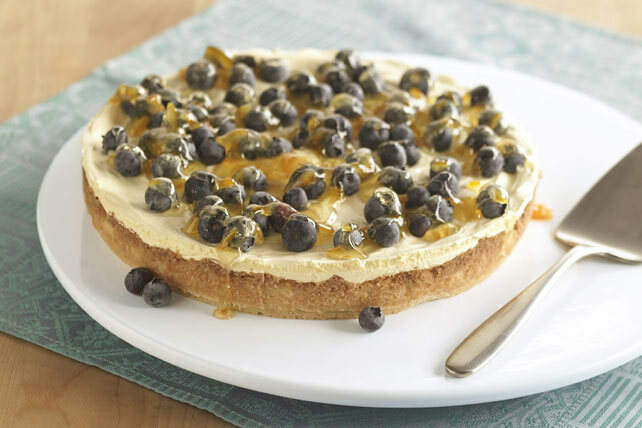 Our Fresh Blueberry Flan recipe is a must-try. Fresh blueberries look (and taste) terrific atop a fresh baked pastry crust and a filling of creamy vanilla pudding in this easy-to-make summer tart. Mix flour and sugar in large bowl. Cut in butter with pastry blender or 2 knives until mixture resembles coarse crumbs; press onto bottom and 1 inch up side of 9-inch flan pan. Bake 12 min. or until golden brown. Cool completely. Beat pudding mix and milk with whisk in medium bowl 2 min. (Pudding will be thick.) Add Cool Whip, zest and juice; mix well. Spread onto bottom of crust; top with berries. Substitute raspberries or a mixture of fresh berries for the blueberries. Dessert can be part of a healthful eating plan but remember to keep tabs on portion size.